The Lena River, some 2,800 miles (4,400 km) long, is one of the largest rivers in the world. 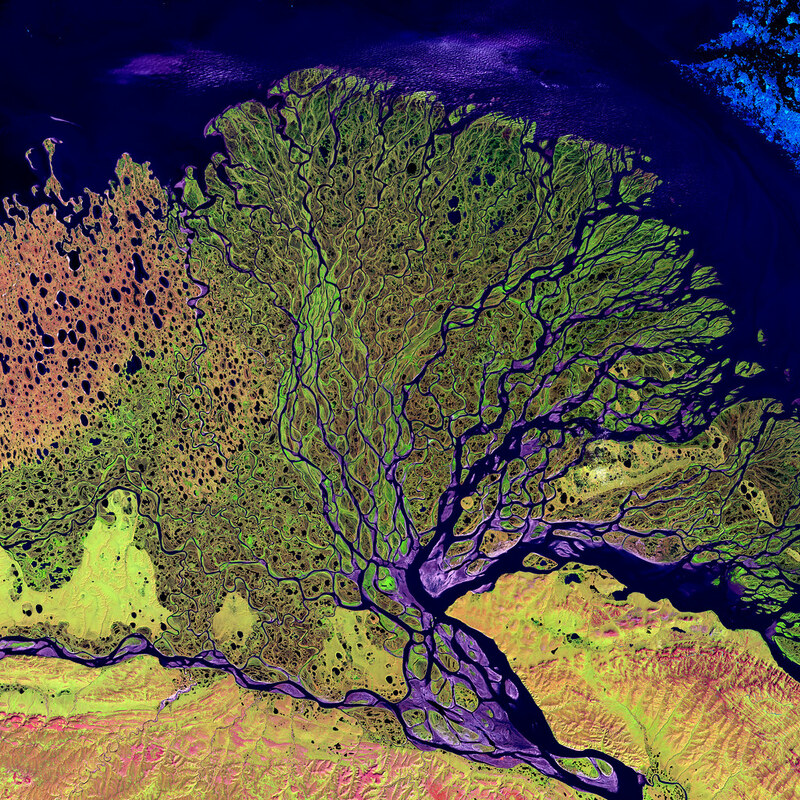 The Lena Delta Reserve is the most extensive protected wilderness area in Russia. It is an important refuge and breeding ground for many species of Siberian wildlife. The Lena Delta can be found on Landsat 7 WRS Path 131 Row 8/9, center: 72.21, 126.15. Posted in Big Picture, Photography | tagged astronomy, delta, Earth, Earth from Space, river, Russia, science, sea, space, water. The permalink.